There are very few people who do not need to work. For most, work is a necessity. It’s what people do to earn money to pay the bills and achieve the lifestyle they want. Working full-time means the hours spent at work take up a significant proportion of the waking day–great news if you love your job, but bad news for anyone who isn’t quite so enthusiastic about their employment. 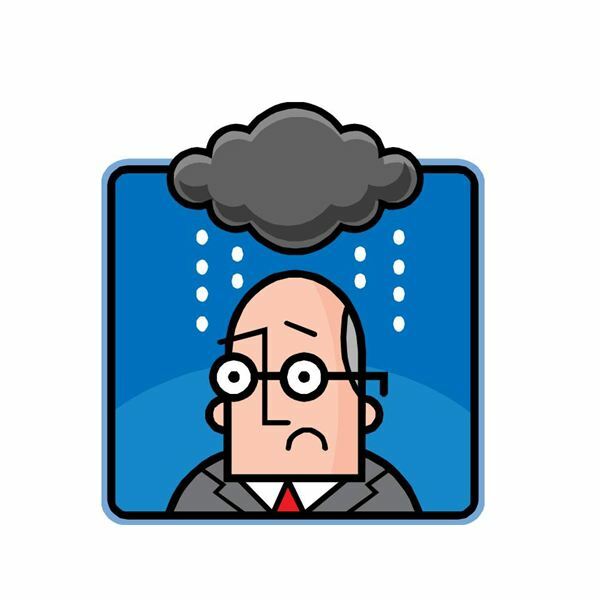 Being unhappy at work can often result in a person feeling stressed which can manifest as physical symptoms such as moodiness, poor sleep patterns and irritability. These are all things which can affect not only the individual concerned, but also those around them. All jobs have aspects to them that are not much fun. Even someone who really loves their job will be able to tell you about a part of their job they wish they did not have to do. It might be paperwork, maintaining databases or cleaning out the fridge; the point is that for people who are happy at work the good bits outweigh the bad. Ask yourself how much of your job you are unhappy with. If it’s only a small part, then ask yourself if it is something you have to do, or can you trade tasks with someone else. For example, could you do a colleague's filing if they do your data entry? It is rare to completely and utterly hate all aspects of a job. Generally, there will be something you like, even if it is just the people you work with. If you think the parts of the job you like outweigh the parts you do not like, then try to concentrate on enjoying the good bits. View the parts you do not enjoy as something that has to be done in order to get the benefits of the parts you like. For example, the benefit of working flexible hours which fit in with your childcare arrangements may outweigh the boredom of doing filing tasks. Unhappy employees do not benefit a company, so it is worth raising your concerns with your boss. Maybe your tasks can be rearranged to give you more of the things you like, or to give you more responsibility if you feel under-challenged. When you speak to your boss it is a good idea to have some suggestions to show that you have thought about what you are saying. There are going to be aspects of your job you cannot change, no matter how much you want to. But, there are also going to be aspects you have control over or can influence. Try and look at your workplace with a fresh point of view and see if you can identify areas where changes could be made which would improve the way you feel about your job. The act of looking for another job can often highlight that where you are is not so bad after all. If you are lucky you may stumble across the perfect opportunity and wonder why you waited so long to look for a change. Alternatively, the thought of losing a good worker may prompt your current employer into making changes that would benefit you–it can and does happen. No matter what your work situation, it is always good to keep one eye on the job market, if only to ensure that you don’t miss out on a great opportunity. Hating your job takes a lot of energy, energy that could be better spent on other things, such as enjoying yourself. Rather than spending time thinking about how unhappy you are at work, find things to think about that make you happy. Often, the more you think happy thoughts the happier you will become. People who are happy at work are much more fun to be around. They recognize that while work is a necessity, it is also a means to an end. Working earns the money that allows them to enjoy their life. They may have bad days at work, and there may be significant parts of their job that they do not like. Overall, they have the view that the good outweighs the bad. The tips listed above will set you on a path of not hating your job. Even a small change in how you view your employment can have a huge impact on your life. There are twenty-four hours in each day, and the hours you spend at work are only a part of this. Make sure you are making the most of the remaining hours.